How you set up your home environment plays an instrumental role in developing your personality and influencing your moods. While improving your home’s aesthetic beauty, the home décor pieces add a distinct layer of personality to every space they are a part of. They become the bridge between two themes, seamlessly blending the lines to create a masterpiece of a space. When you consider your own study space, you think of a warm ambiance, drenched in peace and allowing for thoughts to nurture and grow. Then there’s the living room that hits the perfect balance between a quaint space and a robust environment that can accommodate guests. And then, of course, the bedroom that is all about restful spaces and calming environment. 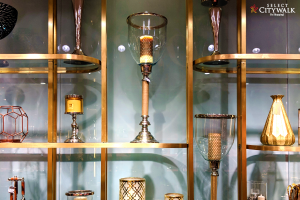 The special touch provided by the right home décor for your personal spaces cannot be ignored. Keeping that utility in mind, and amplifying the aesthetics curios and knick-knacks come with, Anyque – The Gifting Co. brings to you a collection you would love to have at home. Graceful, exquisite, and opulent, products at Anyque are uniquely crafted to perfection, using the finest elements and craftsmanship to hit the right notes. 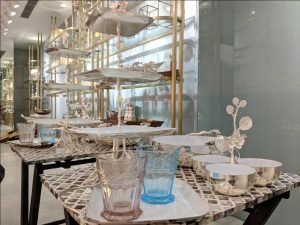 High on wow factor the stunning tableware, glassware, lighting units are all up for grabs at this store at the shopping centre that is set to win your heart. 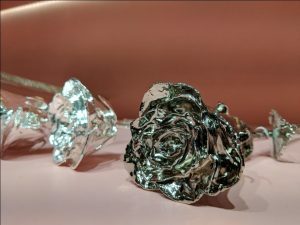 Anyque provides you gifting options unlike any other; there is sterling silverware by Beliram’s and IK Silver, silver plated beauties by Exclusively Yours & Cavalry Lane, Stainless Steel stunners by Arttdinox & Elvy and many more elegant designs by The LohaSmith, Mudita Mull, and IAC. Adding a sense of grace and panache to homes never seemed easier; these rich, traditional designs will make your interiors come alive. Anyque – The Gifting Co. is now open at Select CITYWALK – you may want to head there soon, especially with the festive season coming up!